Joe, a Christian, is excited to go to seminary, but then he goes far away from God. Is there any hope for him, after he divorces his wife and marries another woman? How will he cope when he must raise his teenage daughter? Will Joe come back to God? Read to find out. Get the book now! It is Julia's desire to glorify God in all things. 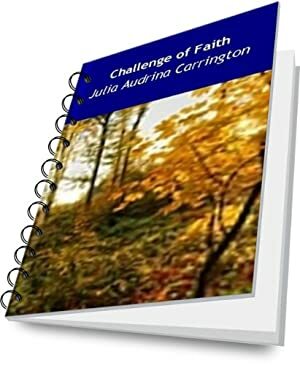 Julia Audrina Carrington who is a born again Christian has touched the lives of thousands of souls across the world. She has shared the message of hope with orphans and the less fortunate. She is the founder of the international mission called Mission Friends for Christ which reaches out to needy and hurting women and children. She is the author of more than five hundred Christian books and Christian novels. See many of her books at www.amazon.com by typing her name Julia Carrington in the search box on www.amazon.com. Her books make wonderful gifts for all occasions. Get her books today for yourself for family and friends as perfect gifts for all occasions. We started tracking this book on April 30, 2013. This book was $7.00 when we started tracking it. The price of this book has changed 117 times in the past 2,183 days. The lowest price to date was FREE last reached on December 30, 2018. This book has been FREE 58 times since we started tracking it. The highest price to date was $9.99 last reached on December 31, 2018. This book has been $9.99 54 times since we started tracking it.